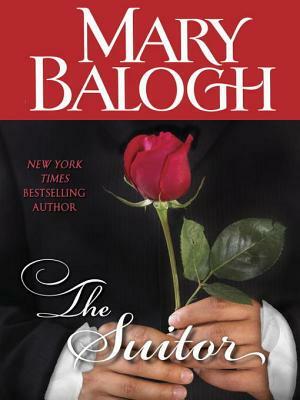 Mary Balogh's charming and warm-hearted eBook original short story is a testament to the steadfast devotion of true love, as a young miss on the marriage mart cleverly plots to claim her one and only. If circumstances were different, Philippa Dean would be happy to fall in love with Viscount Darleigh. He is certainly the perfect gentleman and everything her parents want: titled, handsome, respectable. His blindness only reinforces his quiet power and strength. But Philippa does not love him. Her heart is already taken and there is only one thing she can do: Thwart the matchmaking plans. Julian Crabbe is desperate to rescue the woman he fell in love with two years ago. Then, he was a reckless cub, justly earning Philippa's parents' scorn. Now, he is every inch a respectable suitor and determined to prove it before it is too late. Intrude on the viscount's house party? Gladly. Interrupt the match of the season? Happily. For nothing can stop the power of a love that will not be denied.